Slow cooked sliced chicken breast cooked in a creamy mustard sauce served with rice. 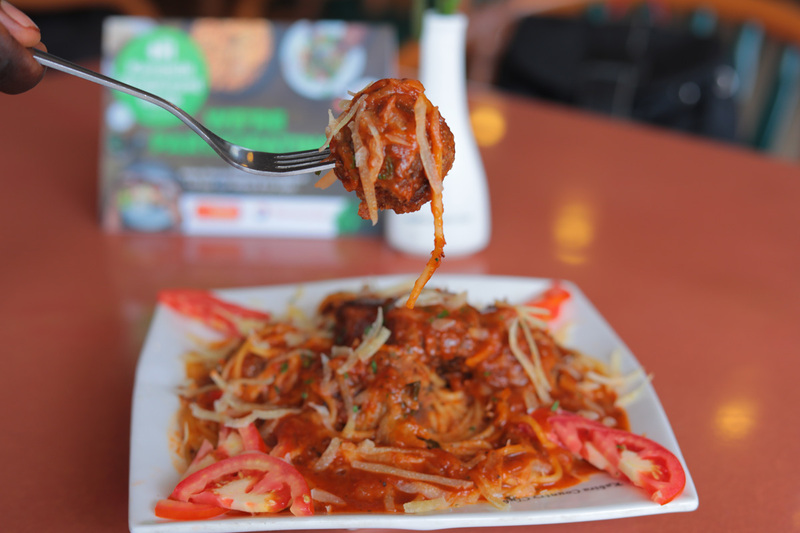 Tossed spaghetti served with our signature spicy meatballs topped with a sprinkle of parmesan cheese. Thinly sliced chicken breast sizzled with tomatoes and green chillies served with rice. 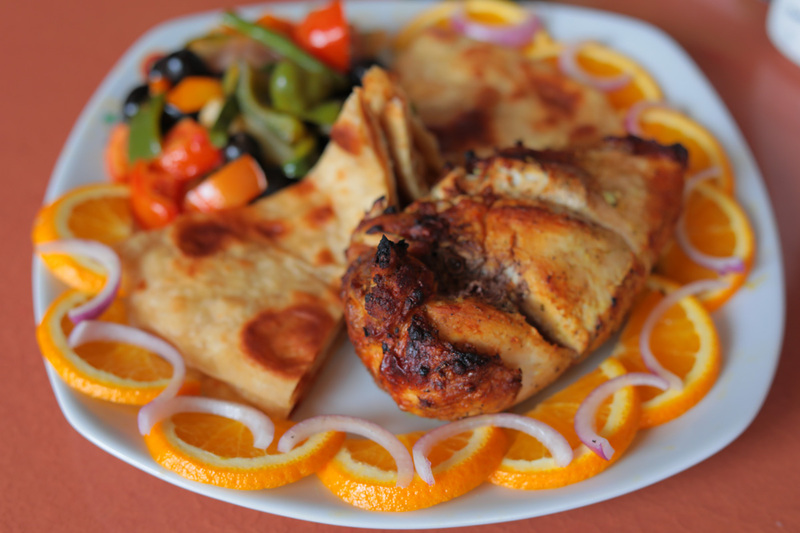 Marinated chicken breast baked with lemon and herbs served with chapati. 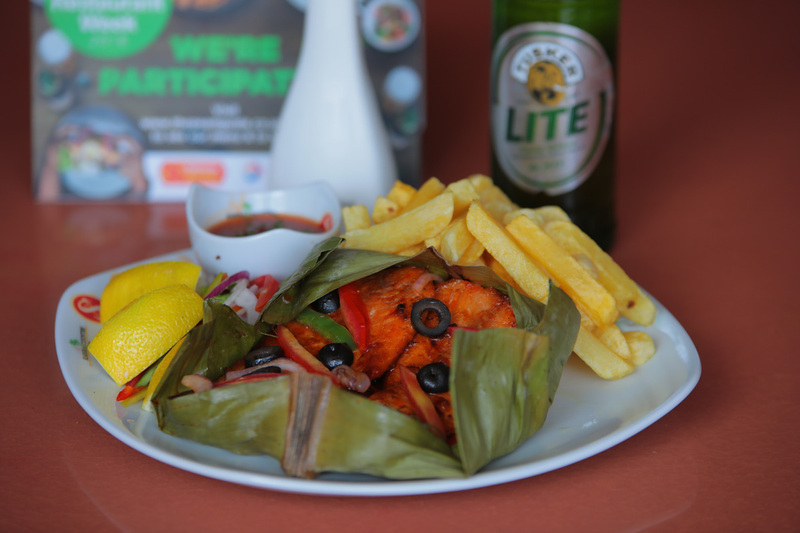 Delicately baked tilapia wrapped in banana leaves with a hint of tomato & olives served with home cut fries. Grilled beef steak coated in beef bacon served with home cut fries.